I've said this before, but I'll say it again, this book is a heck of a deal. Nothing like it has ever existed on earth. 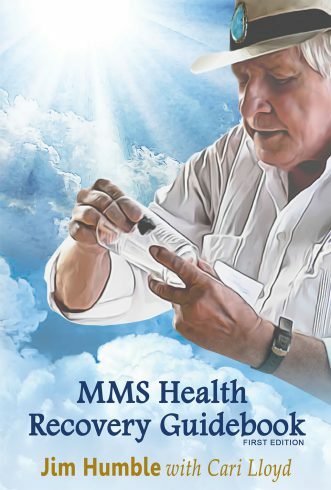 The data in the MMS Health Recovery Guidebook is based on over 100,000 actual cases of sick people who recovered their health with the use of MMS. So get the book, study it and use MMS when you need it. Or better still, buy the book and begin to use it right away because unfortunately, in our present day society, everyone needs to take preventative measures. A good way to do this is by taking advantage of the protection MMS gives. The use of MMS at this time is probably the best action you can take, either to regain your health, or to maintain your health.